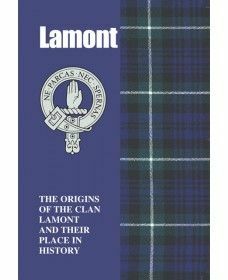 Said to be able to trace their roots to Irish royalty, Lamont is one of Scotlands oldest clans. They thrived on the west coast and became one of the most powerful in the land. Then came a deadly feud with the Campbells and a terrible massacre which all but wiped out the clan. Many Lamonts were forced to flee and change their name.But the clan was saved by the birth of a baby boy who grew up to claim his birthright and save the name for evermore.